That figures. If this Range Rover ever stops “sweating out” it’s fluids I’ll probably freak out thinking that I may have run the particular unit dry. I have reported before that I need to overhaul the transmission. I certainly don’t need it to fail right now. I’ve topped 195,000 miles now on this transmission. And while I think it gets me where I’m going just fine, I know it slips in 4th gear. I need to get some more hoses made. I think if I decide to disable the Range Rover for long enough to replace the hoses I’m going to give the John Deere dealer down on Highway 9 West a shot at making them. They did me right on the last hose I bought and the young gentleman behind the counter said they could make just about any kind of hose. I’m actually kinda excited to see if they will make them for me. The amount of fluid I’m losing is not a lot so my motivation is not quite there. I can get the Transmission Cooler Pipe Kit – 1993-1994 from Atlantic British for 169.95. So that’s my benchmark. 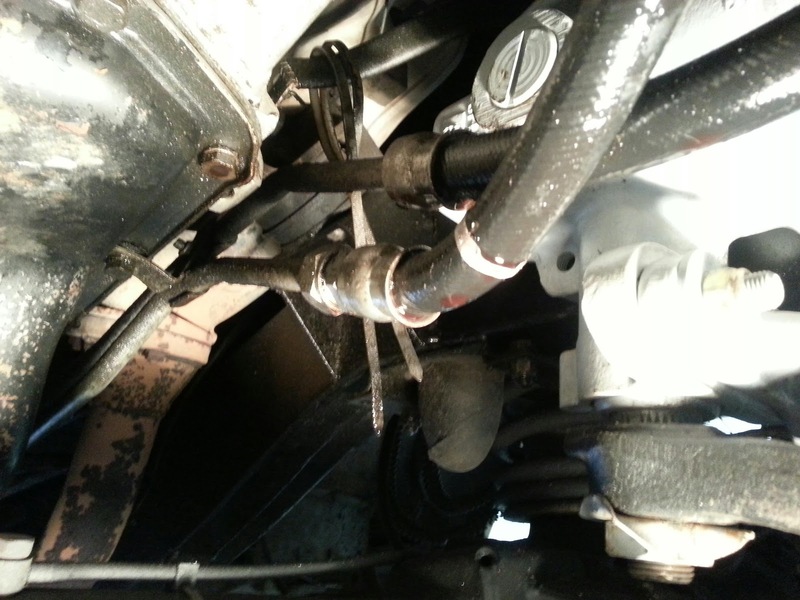 This entry was posted in leaks, transmission, transmission fluid. Bookmark the permalink.